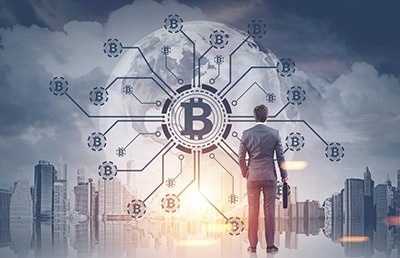 When bitcoins were first introduced, there was a massive influx of “how to” articles explaining everything – from A to Z – about what these were, how to purchase them and more. With the high amount of success of bitcoin, a number of other cryptocurrencies were introduced, collectively called altcoins. For the majority of bitcoin users, Coinbase is the go-to app to buy, sell and trade this virtual currency. Today, this app has more users than the well-known investment firm Charles Schwab, current at more than 13 million accounts. When you first decide that cryptocurrency is something you are interested in, you will have to learn how to buy altcoins. This is often easier than many imagine. The majority of altcoin trading platforms are extremely simple to use. All you have to do is sign up for an account, using your email address. Then, you will create a two-factor authentication process using your phone (or another device). Many of the websites will allow you to trade without verifying your identity, and all you have to do is deposit the bitcoins. If you want to purchase cryptocurrencies using your bank account, then it will require a bit of a different process. You will use your bank to make a deposit in your local currency, which is then converted to USD. This will allow you to purchase altcoins this way. In order to trade blockchain assets, you will have to verify your identity. The process is going to cost you. Virtually all brokers, ATMs, exchanges and digital wallets will charge a minimum fee for converting a flat or government currency to altcoin. Know the conversion fees. These will add up quickly and will eat away at your profits. The fact is, there have been more than a few horror stories in the news about investors who wound up paying more in the fees than they did for the actual coins. You may lose money. If you decide to invest a total of $1,000 in Litecoin and then this altcoin loses 10 percent of its total value, you are going to wind up losing $100. Know the price. Do your research and find out what the price of the cryptocurrency is before you decide to purchase it. The good news is there are a number of places where you can go to find out the going price for bitcoin, altcoins and more. For example, Coinbase tracks a wide array of cryptocurrencies, including bitcoin, Ethereum, and Litecoin. The site (among others) will also let you know the real-time value of the currency in US dollars. Be sure to purchase bitcoin. You will most likely need Bitcoin (or Ethereum) to purchase altcoins on exchanges. In addition, this is the only cryptocurrency that is somewhat widely accepted by brick and mortar and online retailers. If you are ready to make a purchase, then getting to know where to go is vital. Keep in mind, you will likely find your “favorite” once you gain some experience, so try them out to see what works for you. Some of the best platforms for purchasing altcoins can be found here. Coinbase: This platform is designed for the purchase of Litecoin and Ethereum only. You can find affiliate links online where you can save money, get free money and more. Bittrex: This is considered one of the classic altcoin exchanges. The staff responds to any type of support query quickly and they are a company that is extremely professional, and based in the U.S. The main downside of this company is that it is not possible to transfer USD directly in the exchange, which means you have to transfer your bitcoin from Coinbase and into Bittrex to gain access to the hundreds of different altcoins that they have on the books. Binance: This is a somewhat new exchange and has become a favorite option for quite a few traders. They offer a nice looking and easy to understand user interface and a highly professional support team. The mobile application is easy to use for those who like to trade from various devices. If you are interested in purchasing altcoins, you should use the information here. When you do, you will be able to make smart decisions that help you make – rather than lose – money. When it comes time to invest in any type of cryptocurrency, you should not rush in. While some people trade based on emotion, this isn’t something that you should do. Doing your research and knowing the market is the best way to ensure you make a smart investment that will help you make – rather than lose – money.